“I would rather not eat or drink, but never leave my cigarettes,” said Sayed Mohamed, a 35 year- old man working as a cleaner at Aromatherapy shop in El-Mohandessin district, when asked how he would deal with the government’s recent decision to increase prices of tobacco products. 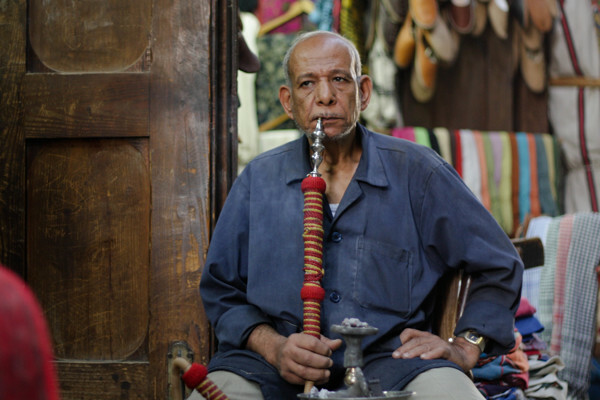 Last Tuesday, Egypt’s parliament approved an amendment of the value added tax (VAT) law that proposed raising the tax on cigarettes and other tobacco products such as shisha. Under the approved amendments, the new prices will include an addition of EGP 3.5 for cigarettes of the first category – sold at less than EGP 18 per pack – raising their price to EGP 18, while the EGP 30 category will increase by EGP 5.5, and cigarette packs originally priced over EGP 30, will increase by EGP 6.5. The increase has yet to be applied. Few places have applied it so far. These days, particularly after the announcement of the recent increase, sellers started storing and hiding products, only to sell them later for additional profits. Others refrained from applying the increase in anticipation of the new price updates by distributors. In July, the Eastern Company raised the price of three cigarette brands by 4.2-17.6% (EGP 0.50-EGP 2.25). The Eastern Tobacco Company, also known as Al-Sharqiya Lil Dukhan, produces all the local cigarettes in the market, from the cheapest Cleopatra brand to the upscale Merit and Marlboro brands. Besides being an addiction, smoking is a common habit practised by people of all social classes worldwide to pass time, relieve pressure and anxiety, or during social events. In Egypt, cigarettes are considered among the essential products mainly consumed by the low-income segment of society and minors. Bankers, infrastructure workers, house or parking attendants, self-employed workers, cleaners, employees, and others from different professions, all heavily smoke cigarettes or hookah during the day, mentally depending on these products to cope with the pressures of their lives, problems, and boring routines. The only thing a person can do when frustrated or nervous, is to smoke to handle such feelings. Last May, the Central Agency for Public Mobilisation and Statistics (CAPMAS) said that 41.2% of employees in Egypt are smokers, adding that 34.1% of paid workers smoke. 20.2% of the total population (15 years and above) are smokers, representing 12.6 million people, according to the 2016 population estimate. The proportion of smokers among men was 38.5%, compared to 1.5% among women, based on the same data. With the new prices, some might take the decision to quit smoking or reduce consumption. Others may change brands to save money. Quitting is always the more difficult decision, as smoking is not only a matter of entertainment, but the substance itself influences people to continue craving smoke. Like every time prices increase, the most impacted segment is low-income citizens, but after the recent economic measures, upper-middle class citizens are also influenced. Heavy smokers will suffer the consequences of the new prices, but it does not seem like they will fail to find an alternative. Social smokers are thus the ones less impacted by the move. “A worker may make EGP 10 per day, and may prefer to not drink or eat, but never stop smoking. There should be something to puff to break the routine,” Mohamed, a father of three children, said. Mohamed added that he believes that if the prices of tobacco products kept on increasing, “Egyptians will continue buying cigarettes, even if they will go for single-sold cigarettes available at kiosks,” referring to the harsh conditions of life in the country. “I have to smoke, otherwise I will be a hundred times more depressed than I already am all the time,” Mohamed said in a serious voice, adding that he smokes a pack of local Viceroy cigarettes per day that costs EGP 23, and would rise to EGP 29 after the increase. Therefore, the cleaner will shift to smoking ‘Boston’, another brand that costs EGP 15, saying that he could use the extra seven pounds for other needs. Nabil El-Sayed, a door attendant for a building near the shop where Mohamed works, smokes ‘Box’, a cigarettes pack that costs EGP 15 that will increase to EGP 17. “The type of cigarettes that I smoke is very harmful, as it is poorer quality than those sold for EGP 29 or 35,” he said, asserting that he will continue to smoke the same type, despite its risks. 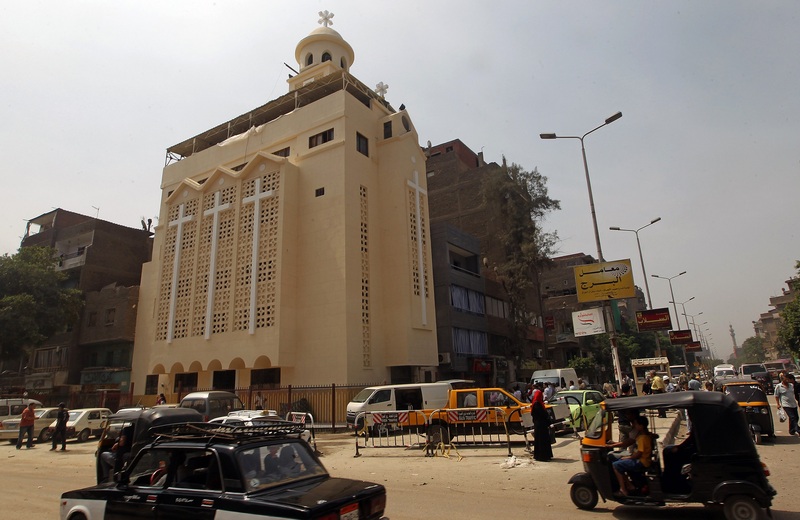 He says he doesn’t have another alternative, as his salary does not exceed EGP 700. He confirmed that the sales of high-quality brands have dropped, as people are more likely to consume low-segment brands. And while exported brands sell well among higher social classes, they do not amount to the sales quantities of cheap brands. Asked why products disappear from the market directly following the announcement of any price increase, he said that sellers, whether kiosks or supermarkets, hide the products to sell them at the new prices, even if they were bought at the old prices. On the Run, a supermarket chain mainly found at Mobil gas stations, has limited every client to buy only two packs per day, before applying the new prices, as people will now start buying large quantities to store before the hike. “The distributor sells kiosks and supermarkets a carton of cigarettes at a cost of EGP 287, three pounds less than its selling price that costs EGP 290,” he added, pointing out that the seller wins three extra pounds, so when prices change, they will definitely hide products to gain more money. In this regard, citizens who were interviewed to tell their back-up plans after prices rise suggested that companies can print prices on the cover of each pack, so people can pay the accurate price and avoid the “greed of traders”. Moreover, a 33 year-old man, who preferred to speak on condition of anonymity, said that his cigarettes budget is EGP 1,000 per month, as he smokes the L&M brand produced by Philip Morris International that costs EGP 23, but would increase to EGP 29 due to the recent decision. In response to the question of what he plans to do amid new prices, he said that he is not going to change his brand but will try to look for freelance work to increase his income. On the other hand, Ali Ahmed, in his early 40s, said that he already quit smoking two years ago when prices began to rise, explaining that he was a heavy smoker, and suffered both breathing and financial issues, so the only solution was to quit. “It was hard to continue smoking, and pay EGP 70 every other day. I cut smoking expenses that could have cost me over EGP 1,000”, he added, saying that there are other essentials in life. Although the two previous people come from the middle class, another citizen, who also preferred to speak on condition of anonymity, said that he smokes Merit, its current price being EGP 34, and will continue to buy it despite the fact that it would cost him over EGP 1,000 per month. This man was not the only person who said this, but this category of smokers were mainly not married or engaged, meaning having less financial commitments. “I will start rolling cigarettes, as they are healthier and cheaper. Their quality can never be compared to cheap packs which cause more real harm than any others. Also, their prices will never surge like proper quality cigarettes, such as Merit and Marlboro,” said Mahmoud Ahmed, a journalist. According to CAPMAS, 60% of smokers between the ages of 15 and 24 smoke on a daily basis. Another CAPMAS 2015 survey linking smoking to income, expenditure, and consumption, found that 41.2% of employees smoke, and the average annual expenditure of an Egyptian household on smoking is EGP 1,722. In every coffeeshop and cafeteria of the hundreds available in the country, you can find the majority of dozens of people, sitting alone or in groups, smoking hookah, commonly known as shisha. Revenues at these spots are mostly based on hookah, which is always in high demand by both men and women. Daily News Egypt visited a local coffeeshop surrounded by several work places, in one of the busiest streets in the Dokki district. Inside the cafe, a number of employees are smoking hookah with people whom they only meet there. Employees head to the coffeeshop during their break hours to order two or three heads of hookah, and then return to work. Mostafa Hassan, the manager of the coffeeshop in his late 20s, said that it’s very noticeable that people have either reduced their hookah consumption, or quit to save their money. “More clients come during work days not the weekends, as our clients are mostly employees working in the companies and schools around the area. One person can visit the coffeeshop twice, or even three times during his working shift to smoke one or two hookah heads,” Hassan said. Around 75 persons order a large number of molasses heads that each cost EGP 2, while a few order fruit flavoured heads that cost EGP 7, Hassan said, asserting that he did not yet apply the new prices. He also added that it is well recognised that people’s consumption of hookah has been reduced, with clients who regularly ordered two hookahs now order only one. “People will never quit easily, smoking is a fun habit, but economic conditions are creating obstacles,” the coffeeshop manager, who is a regular cigarette smoker, said. Mera Hussein, 20, a regular hookah smoker and student, said that in cafes, fruit shisha costs between EGP 50 and 70. She could go to such cafes only on weekends, but on other days, she goes to places where the shisha costs EGP 25 to 40. Men from the upper-middle and middle classes said that they save money by going to local cafes, known as “ahwas”, as hookah there is not as expensive as at cafes. “Smoking will continue as one of the pleasures Egyptians can have to pamper themselves. No doubt that it contributes a great part of the country’s economy. Don’t tell people to stop when life is harsh,” she concluded.